Sarah McSpaden or McSpadden was born about 1745, probably near Lexington, Augusta Co., VA to Thomas McSpaden and his wife. We know the McSpadden family was settled in Augusta County as early as 1748. We are uncertain about the identity of Thomas’s wife. It is reported as Mary and then as Dorothy Edmiston, but there is no evidence that I’ve been able to find for either, so we will simply let her remain unnamed for now. Sarah married Gideon Faires, alternately spelled Farris, Ferris, etc., before 1767 as their son Robert was born that year. Not much is known about Sarah, and what is known about her is via her husband’s records. For example, we know that Washington County Survey Book 1, page 38 states that Gideon Faris has proven to the commissioners that he made actual settlement in the year 1768. The date is 1781 and Gideon is claiming his 250 acres on the south fork of the Holston (just north of Damascus on route 91). Gideon served as a private in Col. Christian’s campaign against the Cherokees in August 1776 and he served on juries in Washington Co. In 1776, while Gideon was gone, Sarah would have kept the house in order, defended their homestead if need be, took care of her young children, probably totaling about 5 by then ranging from a babe in arms to age 10, and maintained the crops. She would have been all of 31 years old and possibly pregnant. Life was tough on the frontier. Sarah has been raised watching her mother do the same thing. Her father was listed in the Augusta County, VA militia in 1742, fought in the French and Indian War between 1754 and 1763 and lastly, was noted as an officer at the Battle of Point Pleasant on October 10, 1774. Gideon is listed in the 1810 Washington County, Va census, over the age of 45, with a female the same age, presumably Sarah. There are also two other females living with them, one under the age of 10 and one age 16-26. Both Gideon and Sarah died before March 1821 when Gideon’s will was probated. They are not listed in the Washington County, Virginia census in 1820, although several of their descendants are. Gideon is known to be buried in the Rock Spring Cemetery, in Lodi, Virginia, so it’s presumed that Sarah is as well. 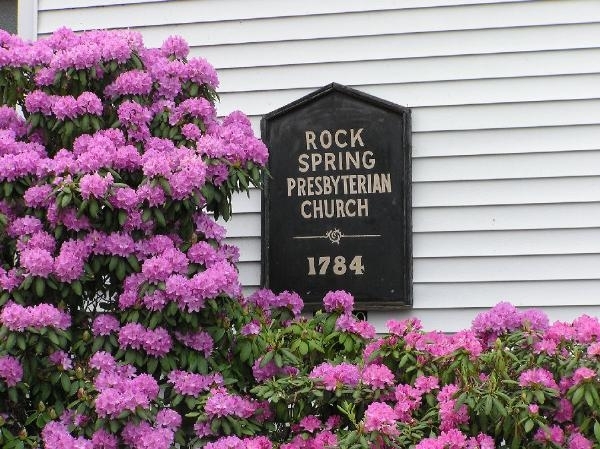 The Rock Spring Presbyterian Church was established on this site in 1784, adjacent to the cemetery. It’s very likely the church that they attended. While we know little about Sarah’s life itself, we know more about her through her mitochondrial DNA that she passed to some of her descendants. We have been exceedingly lucky. Mitochondrial DNA, a special kind of DNA that is only passed from mothers to their children, and only passed on by females to succeeding generations can only be tested if the ancestor had daughters who had daughters down to the current generation. And of course, you have to be able to find them, and they have to be willing to DNA test. Sarah Faires Speak (1786-1865), wife of Nicholas Speak (1782-1852) who died in Lee Co., VA, had several children, among them four daughters. Rebecca married William Henderson Rosenbalm and then died young. William then married Rebecca’s sister, Frances, known as Fanny. Sarah married James Bartley and Jane (1818-1878) married George Ball and moved to Kentucky. The children of Jane Speak and George Ball are shown in the photo below. On the back of photo, people are identified as follows. Front – Nick Ball, Fannie Ball Taylor, Back – Timothy Ball, Rebecca Ball, Harriet??? One descendant thinks the third person is Mary Jane Ball Lickliter, the other sister. Jane Speak Ball’s daughter, Frances, also known as Fannie (1840-1919) married Elisha Taylor. She is the lady in the bottom right corner of the photo above. I wonder if any of these people favor Sarah Faires or Nicholas Speak. Seeing their grandchildren will be the closest we ever get to seeing them. Fannie Ball Taylor’s daughter named Rebecca (1869-1909) married James William Dunn and had daughter Helen Edith Shafer (1915-1988) who had daughter Nell, who agreed to take a DNA test to show us what the mitochondrial DNA of Sarah Faires Speak looked like. Mitochondrial DNA is never admixed with the DNA from the father’s line. Therefore, it is passed virtually unchanged from generation to generation of females in a direct line. That means that we can look back, both genetically and historically, in a direct laser line at the ancestors who preceded us, and who gave us the mitochondrial DNA we carry today. On the chart below, you can follow the mitochondrial line directly up the matrilineal line by following the red dots. Note that the brother in the current generation receives the mitochondrial DNA of his mother, but he doesn’t pass it on to his children. 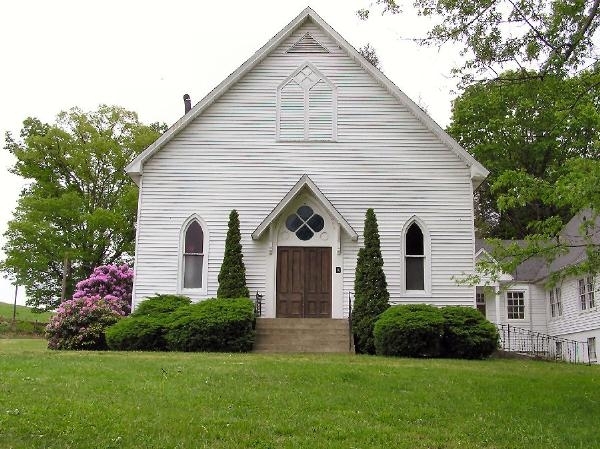 In the case of Sarah Faires, she carries the mitochondrial DNA of her mother, Sarah McSpadden, born in 1745 in Augusta Co., VA, who married Gideon Faires, and who died sometime after the 1810 census before March 1821, when her husband’s will was probated. Sarah McSpaden carries the mitochondrial DNA of her mother, variously listed in different places as Dorothy and Mary. The surname Edmiston has been attached to Dorothy in several trees because Thomas McSpaden was named, but did not serve, as executor to the will of Robert Edmiston in 1750. He had a daughter named Dorothy, but there is no evidence that Thomas McSpadden’s wife’s name was either Dorothy or that he married Dorothy Edmiston. From here, we fade to gray and then to black. We’ve lost Sarah’s mother’s genealogy line, her surname and her parents, but we haven’t lost her DNA nor her genetic history because Nell provided it to us when she tested. Nell’s family carries oral history of a Native American ancestor, but which genealogical line is Native is uncertain. The mitochondrial DNA will tell us if it’s this line, because we can look back in time and track genetic ancestry in ways similar to tracking genealogy. Nell’s, and Sarah’s haplogroup, or deep clan is shown by the DNA test to be haplogroup H. What does that mean? First, we know that haplogroup H is European, not Native American, so out of the gate, we have answered that first question. Any of Nell’s other ancestors could have been Native, but Sarah McSpaden’s mother’s direct maternal line was not. Based on the mutations that Nell and Sarah’s DNA have accumulated over time, since the original mitochondrial Eve, we know that Sarah is a member of haplogroup H subgroup H49a1. This means that her base tree branch on the human genomic tree is H, then she is a member of subgroup or branch 49, stick letter “a” and leaf 1. So, Sarah had 3 major branching mutations since haplogroup H was born. When was haplogroup H born, and where? The chart below shows what we know, and how we descend from Mitochondrial Eve. Today, about half of the population of Europe carries haplogroup H, but when you descend down the branches to H49 and then H49a and finally H49a1, our subclade of H is quite rare. So while our H ancestor, known as Helena, was very successful in her reproduction efforts 30,000 to 40,000 years ago, her daughters in our line are quite unusual. That could mean that there were only a few to begin with, that entire groups died out, or that these mutations are so new that they haven’t had much time to reproduce and distribute. If you look at the timeframe in which H49a1 developed, as compared to the rest of the mutations, it’s quite recent. This is evident when you look at the actual matches that Nell has to other participants. In the HVR1 region of her DNA, where we have no unusual mutations, Nell has over 10,500 matches. This would in essence equate to the haplogroup H matches and stretched back thousands of years. In the HVR2 and coding region areas, where we have 9 unusual mutations, Nell has no direct matches at all. Translated, this means that we don’t match anyone in a genealogically relevant timeframe, unless they have not tested above the HVR1 level, and there isn’t enough information to differentiate at that level. That is why there are three levels of testing. Nell had tested her entire mitochondrial region, so there is no higher test to be taken. If Nell does have exact full sequence (coding region) matches in the future, then we can rest assured we are actually related to that person, on that line, in a genealogically relevant timeframe. Of course, then it falls to us to figure out the genealogy connection, but at least we know the genetic connection exists. Let’s take a look at where the oldest descendants of group H49 are found today, they are found in two distinct groups. One is in Scandinavia, but they have a different mutation set than we do. The mutation set that matches ours is found in Poland, Lithuania and Belarus. Our next closest twig, H49a is found in the Netherlands and in Berlin, Germany. And finally, our leaf, H49a1, is found in Austria. As we obtain more haplogroup or Nell acquires HBR2 or coding region personal matches, we will be able to learn more. This tells us that in the big picture, our ancestors were running around the Germanic region of northern Europe for several thousand years. Unfortunately, there are maybe a total of 10 samples of H49, H49a and H49a1, in total, for me to compare against. Slim pickings, at best, and difficult to draw conclusions from such scant information. So were the ancestors of our Sarah Faires Germanic, or did she maybe immigrate from the British Isles? Those are two different questions, and the timing of the answer makes a big difference. Sarah, in Augusta County, Virginia, is found among the Scotch-Irish population. Look at the surname, McSpaden. The population among which she is found is highly suggestive that her parents were Scotch-Irish as well. But where did the Scotch-Irish come from? Ireland, and before Ireland, Scotland. And what were the Scottish people before they came to Scotland? Celtic. And where did the Celts come from? You’ve got it, the Germanic region of Europe. So, the answer is yes, to all of those questions. The map below shows the core Celtic homeland, about the 6th century BC, followed by the green expansion areas. Where was haplogroup H before that, before they made their way to Europe? The map below, compliments of Family Tree DNA, shows the path that haplogroup H took out of Africa. The journey of haplogroup H is our journey. It’s the journey of our ancestors, every one of them, beginning with Mitochondrial Eve. It’s Sarah McSpaden’s journey, Sarah Faires journey and the journey of every descendant who carries the mitochondrial DNA of Sarah and her ancestors. And for those who don’t carry Sarah’s mitochondrial DNA, it’s still a journey of your ancestors, because Sarah’s ancestors were yours as well. A big thank you to Nell for testing and unlocking the secrets of Sarah Faires and her mother, Sarah McSpaden’s matrilineal ancestry and sharing with all of us. Robbie, The DNA you took for me for testing does not figure in to this in any way does it? Nicholas and Sarah’s daughter, Rebecca was my great, great, great, grandmother. but there are three males between Sarah and me. Curious as to what importance my DNA is. Hi Lola-Margaret. Your mitochondrial DNA follows your mother’s mother’s mother’s line, on up the tree – so you’re right – it’s not from this line. The DNA you contributed is autosomal DNA which is inherited from all of your ancestors – including your Speak line. Hi, please explain the connection between the Young Daughter of the Picts painting and Sarah? I know I am missing something intriguing! Thanks…. The Pictish people were some of the original people of Scotland. So were the Celts. Whether they were one and the same is still undetermined. Sarah’s DNA goes back a very long way in the British Isles. Thank you for the continuing information. I am currently in Prague and have seen all the mausoleums of the Czech/Bohemian kings plus told of bones of many nuns. Are you aware of any work being done on these bones. Some graves go back to 10C It must be a great opportunity to build on our history of families who are also known in the records. I am not aware of any work on these bones. They took great pride in their church by adding the architectural elements of a quatre foiled pediment and lancet windows. A Young Daughter of the Picts – Wonder if that is body art (tattooing), or a tightly worn fabric/garment? Body art throughout history would be an interesting subject if you ever get a “round tuit”. Although, not sure that could be tied to your usual subject matter. We greatly appreciate you, Roberta. Fantastic post. This is what I am working on with my mtDNA. I am unofficially U5a1i1a (currently in U5a1, named U5a1i1a by the U5 group administrator, but not yet officially named in the Phylotree). At Family Tree DNA, my brother, my son and I have 10 matches at the coding region level, and 9 of them have a genetic distance of 0, the other at 1. I have contacted all but one (she’s new) with replies from several. What I see in their trees is promising. Additionally, my brother has an autosomal match to a person who has as an ancestor a woman who is in the mtDNA line of another person. I do not believe that is a coincidence. I believe that with continued research, not only will I be able to find the relevant locations, but also the common ancestor. I also have a hunch that the mutation occurred during Colonial times. Roberta! Every time you post a blog like this I want to get out my spreadsheets and start tracking. You are such an inspiration to us and I thank you for all of the information and guidance you give us. Roberta, I enjoy and appreciate your blogs so much, and this one could not be more timely for me. I had the FGS mtDNA test done on my paternal aunt several years ago, and she has just recently received her only perfect match. She has zero matches at a 1-step difference, and I haven’t paid any attention to the matches with a 2-step difference. I was very surprised, though, that her perfect match is Australian! This aunt’s matriline is my worst brick wall; our earliest known ancestor in that line was born in Georgia in 1836. I know can identify all the rest of my immigrant ancestors on that side of my family, and they all came to America well before the Revolution, and I suspect this brick wall lineage is the same, so I was so surprised by this Australian perfect match. I know how random these mutations can be, and I was wondering if you know of any probability tables as to the length of time mrDNA can be transmitted unchanged. I am not sure what I can infer from a perfect match and don’t want to read more into it than is justified. I love reading about your ancestors in part because nearly all the surnames you mention show up on the match lists for my dad’s side of the family, and his dad’s people spent quite a while in the Cumberland Gap region. I know that at the very least our people were neighbors. Thanks so much for all you do. Hi Roberta! Your website has proven to be an incredible asset in helping me to climb the very steep learning curve of DNA genealogy, although I’m still at the baby step stage. Now I’m finding a very personal connection in this fantastic article! I tested my mother with FTDNA: Autosomal and yesterday her mtDNA + mt Full Sequence results were finally in. Her Haplogroup is H49a1. I Googled it and found out it’s pretty rare. She was born in Berlin, Germany. She has nine matches that have a genetic distance of 0, five with a genetic distance of 1, five at a distance of 2 and three at a distance of 3. Hopefully with more people testing their mtDNA, we’ll be able to get a better picture of our shared ancestry. Roberta, it was quite interesting to read about your Sarah McSpad(d)en, daughter of Thomas and Mary (or Dorothy) Edmiston. Sarah’s brother, John (b. 03/1750) is my paternal 4th great-grandfather, and Sarah’s brother, Archibald, twin of John, is my maternal 5th great-grandfather. Even before DNA became popular, it was a delight when I stayed up all night charting my descendancy from both John and Archibald! It’s so good to find, yet, another McSpadden cousin out there!! It may be possible her remote and sisters were part of the saxon tribes who travel to England after the Romans live Britain.